Every human being tries to find apartments which are spacious and are designed with beautiful architecture and infrastructural planning. They even look for apartments where there is a lot greenery thus can enjoy and relax their mind and soul with the soothing effect of the green environment. Thus, online websites provide you with a great variety of choices of residential apartments in Doddaballapur road Bangalore and you can find apartments of your choices. These property in Doddaballapur Road Bangalore are actually a proof of contemporary design and planning which is done in detail with high-quality architecture. 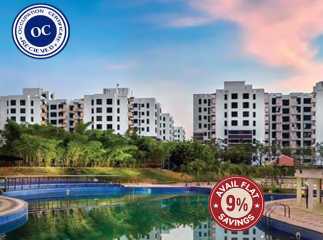 These are residential apartments which are efficiently planned and marked with optimum utilization of space. The apartments are planned in a such a way that there is free circulation of fresh air and ample amount of sunlight comes in. Buying ready to move projects in Doddaballapur road Bangalore is a smart investment for the proud buyers as well as the investors. The prices of these sophisticated and beautiful apartments are affordable and the available & supported by friendly payment plans. • Lower Rates: It offers top-notch amenities at nominal prices. 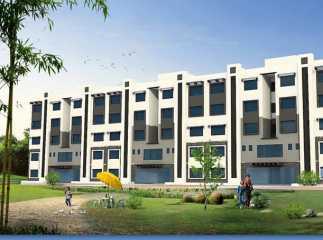 It has a good resources appreciation potential as at present the properties are available at cost-effective prices. It is a key location that offers properties at nominal prices. Those who wish to own a second home or villas in Doddaballapur Road Bangalorewith excellent infrastructure and at competitive prices will be in a win-win situation. • Infrastructure Development: The airport launch in the vicinity of the area has resulted in its fast- paced growth and development. There are many technological and commercial parks coming up here. Proximity to the airport, airspace around the airport, dominance of several leading schools, colleges and multi-specialty hospitals are the factors that have boosted the growth of this area. • A Potential Place: With a calm and tranquil lake flowing nearby, it becomes one of the most promising places to make an investment in. Due to the intense development taking place, the demand for property in Doddaballapur Road is increasing day by day. There are many more new and modern residential projects coming up here. Also, it is expected that in the near future the area shall have high-speed rail links, road links and metro links for better transportation. Easy availability of good facilities at a brief driving distance adds to the locational benefits of the place. As you will discover, Apartments in Doddaballapur Road Bangalore offers an enhanced living experience with a plethora of top-line facilities and amenities that you will find difficult to resist.